Prescription drug prices continue to rise and have become one the most important healthcare issues facing the nation. In an effort to address the problem, President Trump announced his drug pricing plan on May 11. After his remarks, analysts are concerned that it could significantly impact the 340B Drug Discount Program. Industry analysts don’t agree with the president. They argue that discounts from the 340B program play a small part in the country’s total amount of drug spending and the discounts do not raise drug prices for the privately insured. According to Dobson DaVanzo & Associates, “the total 340B discount in 2015 was $6.1 billion, which was 1.3 percent of the $457 billion in net U.S. drug spending.” Additionally, analysts point out that charity care is just one function of how hospitals utilize the savings from the 340B Drug Discount Program. Hospitals also use the savings to help with underpayments and uncompensated care from public payees or Medicaid. President Trump’s Fact Sheet also makes reference to Federal Register Volume 82, Issue 217. This controversial legislation cuts payments to hospitals that participate in the 340B Drug Discount Program by close to 30% in order to “save seniors an estimated $320 million in 2018.” Ever since the president’s statutes became law on January 1, 197 members of Congress have sponsored H.R. 4392 in order to reverse the legislation. They do not agree that the Medicare cuts save the elderly money. In fact, they claim that the cuts increased payments for non-drug services and are weakening the ability of vital 340B hospitals to provide care to low-income patients. Regardless of the resistance to his policy, President Trump has proposed to extend his cuts into FY 2019. If Congress approves the plan, a portion of the savings will be used to increase payments to hospitals that have high charity care levels. The remainder would stay in the Medicare trust fund. 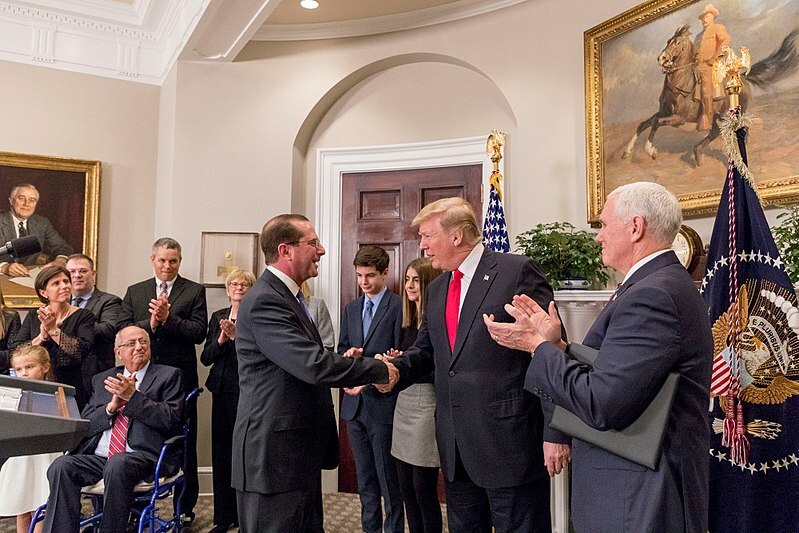 Following the president’s announcement, The Department of Health and Human Services (DHS) published the American Patients First Blueprint. It allows for comments from the public on a number of questions related to the 340B Drug Discount Program. As the nation faces skyrocketing drug prices, the government is looking for a solution. The Trump administration has recently released their drug pricing plan but it has left industry analysts worried over the future of the 340B Drug Discount Program. It’s apparent that drug pricing needs to be addressed but there are issues with the way the challenges are being addressed.